Thanks to its location, Le Petit Duquesne is the best choice for your stay in Nantes. Cours des 50-Otages is the biggest avenue in the city of Nantes and reserved only for public transport. 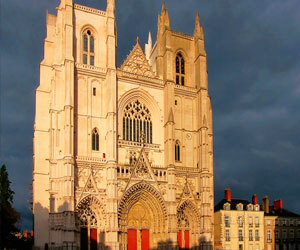 Make the most of the transports located near the hotel to visit Nantes, its museums and its old town. There is an underground car park with surveillance in front of the hotel (Parking Tour de Bretagne). Le Petit Duquesne is located just 1.2 miles from the Nantes SNCF train station. All the main city attractions are located near the hotel: Château des Ducs de Bretagne, the Cathedral, Passage Pommeraye and the Graslin​ Theatre. 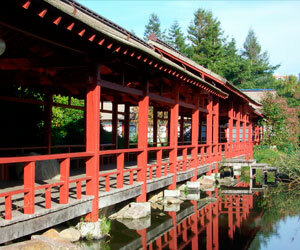 The CHU (University Hospital Centre), the School of Fine Arts, Tour de Bretagne and the Île de Versailles are located just a short walk from the hotel. The Cité des Congrès Events Centre, the Parc des Expositions​ Exhibition Centre and the universities are easy to get to just a short tram ride away, with a stop right in front of the hotel, (Place du Cirque, Line 2).